Three great gigs I’m looking forward to over the next few weeks, playing with some of my favourite friends. Then on Saturday 25 July, I have the great pleasure of performing Coltrane’s A Love Supreme with Denys Baptiste, Rod Youngs and Joe Armon-Jones at the Hull Truck Theatre (part of the 2015 Hull Jazz Festival). I know…we only played this suite a couple of weeks ago at Southbank Centre, and we’re still buzzing from the great vibe there, but it’s an extraordinary piece of music that, without fail, gets all of us excited about playing it again. Then I have a couple of weeks to get my party head in gear for Jazz Jamaica‘s favourite club gig, celebrating Jamaican Independence at The Hideaway in Streatham, South London on Saturday 8 August. Always a pleasure, we have the lovely Ms Myrna Hague joining us again. Plus…we’re planning to introduce a new young vocal talent…But you have to come along if you want to find out who! I’m looking forward this week to working in Quartet format again on Friday 10 July at 5.30pm when we revisit John Coltrane’s A Love Supreme. I’ll be joined by my long-time friends and sparring partners, Denys Baptiste and Rod Youngs, and rising star Joe Armon-Jones. We’re doing it in a free space, The Front Room at Queen Elizabeth Hall at the Southbank Centre, London so lots of you can come see it! It’s an incredible piece of music that we never tire of playing. Here’s a link to my blog piece My Supreme Love Affair that I posted in January where I talk about my relationship with this great work. Meantime, here are the details for the gig. When you’ve it, click on the flyer to be taken to the Southbank Centre website for more info. Hope to see you there! Happy New Year! Let’s hope it’s going to be a good one, full of great music, inspiration and creativity. The year is definitely getting off to a great start for me as 2015 marks the 50th anniversary of the only live performance by John Coltrane of his everlasting classic, A Love Supreme. I feel honoured to have been invited to perform this monumental piece on Friday 16 January at Turner Sims in Southampton with my quartet, which features my long-time friend and musical sparring partner, Denys Baptiste. 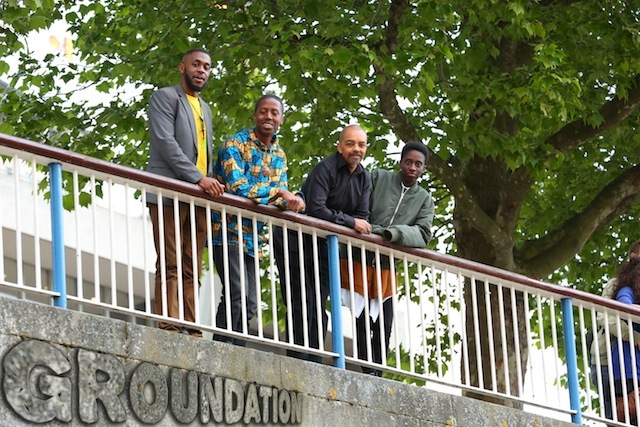 Completing the rhythm section are the great Rod Youngs on drums and rising star pianist, Joe Armon-Jones, a graduate of my Tomorrow’s Warriors Young Artist Development Programme. I first discovered Coltrane’s A Love Supreme in about 1977, and it has to be said that this classic jazz album had an instant and profound effect on me. I recall it was my sister who bought the album for me. I had listened to other Coltrane music, but this was one of the early Impulse recordings and it clearly was something special. Indeed, it was a masterpiece and spoke to me in so many ways that other jazz works so far had not (perhaps with the exception of Mingus’ Black Saint and The Sinner Lady). It was apparent to me that this was a very personal piece of work – a spiritual albeit very public declaration by Coltrane that his life as a musician was now a seamless (at one) dedication with his faith in God. Here was a man who was rising out of his personal problems, including a long struggle with drug and alcohol addiction. Looking back, I had started listening to A Love Supreme before I had even started taking ‘proper’ bass lessons, as I had been trumpeter up until that point. When I think about it, at the time, my reaction was not so much about the high level of importance in jazz history that the work had assumed over the past decade, but it was much more about how this was a deeply emotional, somewhat ethereal response that took hold of me. This may sound somewhat prosaic or even strange given the easy access to lessons about world cultures and diverse societies that we have through global media and the web. It was rare for me to get opportunities to learn about, let alone directly experience or get close to hearing a black male talking or expressing his artistic and spiritual devotion to another being, albeit it the Creator or God. In fact, most of the music I was listening to at the time was focused around or directly fused with my political beliefs: Black power, the growth of the left wing, anti-apartheid movement, Mozambique, independence in Africa and the Caribbean. Several of my contemporaries, who also hailed from the Rasta movement, were realising that we were starving intellectually. We were asking ourselves: how do we expand our philosophy, talk through and deepen our thoughts on the ideas that were influencing us. And so it was not only about geopolitics or religion, it became about creative expression. It became about jazz. Jazz became a strong metaphor for sharing stories, communing with fellow thinkers, a symbol of independence, freedom and self-expressionism. Of course at home, growing up, jazz music was all around us so we grew up listening to the greats (my uncle is the great jazz guitarist, Ernest Ranglin). However, I believe the guys who were around me at the time were looking for ways to engage in deeper conversations about the black intellectual experience. A Love Supreme acted like the soundtrack to the books we were reading at the time. But it was not only Coltrane. It was also through our extended connections and seeing the huge impact that musicians were having across the divides: Fela, Marley, US producers like Norman Whitfield, Curtis Mayfield. If my memory serves me well, Supreme was the first or second jazz album that I had listened to which had been constructed as a conceptual work, composed that way from the start to the finish. If I break it down, another reason it appealed to me was its purity – an acoustic work written at a time when electronic jazz was slowly beginning to dominate the scene: Miles Davis, Herbie Hancock. I was into the Rasta movement, living a natural life so the purity of the acoustic arrangements and work held sway with me on a number of different levels. What does A Love Supreme mean now? It’s been a part of my entire adult life, all the way through its many phases – whenever I am down, even feeling low, or looking for creativity, it’s one of those albums that lifts me. I carry it everywhere with me. It’s on my iPhone, my iPod. It’s everywhere around me. It’s about ten years ago that I started playing A Love Supreme with Denys Baptiste (and I’ve only ever performed this work with Denys on saxophone). This is a rare piece and, in fact, we have only played it about 7-8 times. However the way we play Coltrane is ingrained in our consciousness. We try to keep the spontaneity, and are mindful about how and when we rehearse. In fact we only ‘rehearsed’ the piece before we had to perform it for the very first time all those years ago, and every other time since then, we command up our energies, get into the mindset and play the set in the sound check before the live performance. In doing so we try to keep a collective purity, a kind of naturalness if you like. However A Love Supreme is one of the world’s sacred canons, and we certainly will not abuse the composer’s intention. As musicians, we want to learn from the piece each time we undertake the work. It’s our absolute duty to play it as Coltrane intended, for example in the case of the bass solo in the movement, Resolution, it really does not need anything from me (or any musician) to be heard as a great piece of art. The work is awesome and awe-inspiring. It’s really important that the audience engages with Supreme from a pure live perspective. Forty minutes of an intensified and meditative experience. It surely takes you over and elevates the mind and spirit. There’s no choice – you have to take the piece seriously, audiences and musicians alike, but never allow the weight of its meaning and significance to scare you because the rewards are so great. Before we play, I like to ask tacit permission from the audience to give us 45 minutes of their unadulterated time and attention also to allow my Quartet to transport them to another zone, through an immensely hypnotic score – to recapture that spirit that Coltrane shared all those years ago. 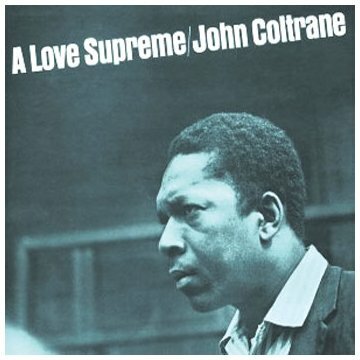 For me A Love Supreme is pure inspiration. Pure genius. Whether you are religious or not, it’s revealing to be allowed to share in the visceral statement that Coltrane is making – his service to God. The music/concept came to him by some sort of osmosis, apparently. Coltrane congregated all the elements in one day and, with that, he left us a great piece of work that in a thousand years we will be still be listening to, one that unites humans at the spiritual level – a work that unites musicians across genres. Whether you are religious or not, people all over the work respect what Coltrane did. Not everybody ‘gets’ jazz, but back then in 1965, hippies, folk and progressive rock musicians, accepted this as one the great universal musical statements for the ages. After a great gig last weekend at Jazz Cafe – the place where my group, Jazz Jamaica was born – as part of the London International Ska Festival, I’m heading off to Leicester with my quartet on Saturday, 26 April to mark 50 Years of John Coltrane‘s superb recording: A Love Supreme. We’ll be performing as part of the 2nd Bootleg Jazz Festival held at The Cookie. Note, this is a change in programme as I had originally arranged to present Groundation but we had to change plans at the last minute. Although the Festival has been fantastic in accommodating the change in band, unfortunately their website is still showing the old programme. So, ignore that and read this instead! Encapsulating the redemptive spirit of the 1960s, award-winning bassist and band leader, Gary Crosby pays homage to one of the most influential and inspiring albums in the jazz canon, John Coltrane’s A Love Supreme to mark its 50th Anniversary year. With his outstanding quartet – including Denys Baptiste (tenor sax), Joe Armon-Jones (piano) and Rod Youngs (drums) – tonight’s performance of this all-time classic will bring you the closest you may ever get to feeling the spirit of Coltrane in a live situation. It’ll be great to play with my sparring partners, Denys and Rod and to have another Tomorrow’s Warriors alumnus, Joe on piano (reminds me of a young Andrew McCormack) on the gig. Hope very much to see lots of my Leicester-based family and friends turn out for this show. It’s a very special piece of music that has stood the test of time and you need to be there to experience it!